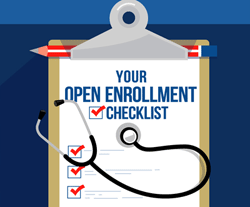 Our annual Open Enrollment period for the 2020 Benefit Plan Year will be from 10/1/2018 to 10/31/2018 . The 2020 Active Employee Benefit Plan Document provides a general overview of all the programs available to you. You can view this document on-line by clicking here. All enrollment selections will take effect January 1, 2020. This is your last chance until January 2021, unless you have a qualifying event, to change your coverage or to add qualified dependents. This is also the time to enroll in the Health Care and Dependent Care Flexible Spending Accounts (FSA), even if you are already participating. You must enroll again each year to remain in the plan. If you don’t re-enroll, your contributions will stop in pay period 1-2020. Benefit deductions premiums for 2020 will begin in payperiod 2020-2. They will continue to be taken 24 times per year. With the exception of flexible spending, there will not be benefits deductions in pay period 2020-01 and 2020-10. Santa Barbara County Superior Court takes pride in offering a benefits program that provides flexibility for the diverse and changing needs of our employees. The Court has worked diligently to provide you with an array of insurance options consistent with the quality and accessibility you have come to expect at the lowest possible insurance premiums. For employees enrolled in the Blue Shield EPO or HDHP plan, FREE flu and pneuomonia shots will be available at these meetings. Make sure to bring your Express Scripts (EPO) or Blue ShieldID (HDHP) card and authorization forms with you to the meeting if you want to receive a flu shot. If you are not enrolled in one of these plans you can get a flu shot for a $20 fee. Please bring a completed vaccination screening questionnaire and consent form. Information on the Flu Vaccine can be found here. Information on the Pneumococcal Vaccine can be found here. Flu and pneumonia shots will be available at all open enrollment meetings. The Superior Court premium rates have changed, however, the benefit designs will remain the same for the 2020 plan year. If you would like to keep your current benefit selections, you do not have to do anything during Open Enrollment unless you want to participate in a Flexible Spending Account (FSA) in 2020. The Superior Court will not have any benefit plan design changes to any of the dental or vision plans for the 2020 plan year. The employee costs for Delta Dental PPO have slightly decreased. If you would like to keep your current benefit selections, you do not have to do anything during Open Enrollment unless you want to participate in a Flexible Spending Account (FSA) in 2020. Be prepared before enrolling by having your personal information with you such as dependents' Social Security numbers, birthdates and addresses. How do you download Ben-IQ? Now you can open up your app any time you need plan information! Check your Medical, Dental and Vision plan benefits and covered dependents. To review your current plan selections you can visit the ADP Self Service Portal or https://www.workterra.net. We encourage ALL employees to visit the WorkTerra site to verify that your plan selections and covered dependents are correct. Santa Barbara County Superior Court offers a choice of medical plans through Blue Shield. Under the EPO plan, the network of contracted physicians and hospitals are known as Preferred Providers. Under an EPO plan, you do not have an assigned Primary Care Physician (PCP). You are allowed to access medical services from any Blue Shield national contracted in-network PPO physician, specialist or facility without having to obtain a referral. All covered services, except for Emergency Care, must be provided by a Preferred Provider. The EPO plan does not provide out-of-network benefits. The HDHP provides a choice and two levels of service; in-network and out-of-network. The HDHP uses the Blue Shield national PPO networks so you have a choice of using in-network preferred providers or any out-of-network physician that you choose. There are no copayments; only co-insurance with coverage for in-network providers at a higher benefit level and lower cost to you. This plan has an annual deductible that must be met before it begins to pay the appropriate co-insurance amount. A Health Savings Account (HSA) is available to you if you are enrolled in a HDHP. An HSA account allows you to contribute using pre-tax dollars, funds roll over and accumulate year to year if not spent. HSA funds can be used to pay any qualified medical expenses. This type of health savings account is owned by you and is portable. If you decide to terminate the HDHP, you will no longer be able to deposit new funds into the HSA account, but funds already in the HSA will remain available for your use. Prescription drug coverage provides a benefit that is important to your overall health, whether you need a prescription for a short-term health issue like bronchitis or an ongoing condition like high blood pressure. If you enroll in medical coverage, you will automatically receive coverage for prescription drugs. Here are the prescription drug plans that are offered with our Blue Shield EPO and HDHP plans. BLUE SHIELD EPO: Express Scripts is your pharmacy carrier if you are on the Blue Shield EPO plan. You have a separate pharmacy ID card for your prescription coverage. You must use this ID card to obtain your prescriptions from your local pharmacy. Your Blue Shield ID card will not be valid. BLUE SHIELD HDHP: You must use your Blue Shield ID card to obtain prescriptions (Express Scripts will not be your pharmacy carrier). Santa Barbara County Superior Court offers you two Delta Dental plan options. Both the Delta Dental PPO and the DeltaCare USA DHMO plans offer comprehensive dental coverage. Compare plan features by reviewing the highlight comparison overview chart below. VSP features a broad provider network with substantial access across the United States in a variety of settings. All VSP network providers are independent optometrists or ophthalmologists in private practice who provide full service. However, you do have the option of using a non-network provider under the VSP plan but the benefit allowances are lower. Santa Barbara County Superior Court offers you the opportunity to participate in a Healthcare and /or Dependent Care Flexible Spending Account (FSA). Each year during the Open Enrollment period, you decide how much you want to contribute to the Healthcare and Dependent Care Flexible Spending Account. Your 2019 enrollment election does NOT automatically carry over to the next year. Each pay period, the money deducted before taxes is withheld in equal increments from your pay and contributed to your healthcare and / or dependent care spending account(s). You can elect up to $2,650 annually for the Health Care FSA. This amount was reduced to comply with new IRS maximum guidelines. You may contribute up to $5,000 per household for the Dependent Care FSA. Unlike health benefits, FSA contributions are withheld in all 26 pay periods. NOTE: The 2019 FSA maximum amount may change in October when the IRS announces the maximum limits for 2019. As a participant of the Health Care FSA plan, you can choose to have an FSA debit card. This card is linked to your FSA account. When purchasing qualified medical services or products, you simply use your FSA debit card and the transaction is complete. Be sure to keep your receipts since you will need to provide proof of expenses if audited. The dependent care FSA does not allow a debit card for day care expenses. If you do not use a debit card for your transaction, you can submit your claim and receipts via fax, email or U.S. mail. Upon review and approval of the eligible expenses submitted to FSA, you will be reimbursed for the expense(s). Only qualifying medical expenses incurred during the plan year will be eligible for reimbursement. Expenses will only be reimbursed if they are incurred during the 2020 plan year (January 1 through December 31), or during the 2 1/2 month grace period (January 1 through March 15, 2021). You will have till May 30, 2021 to submit reimbursement requests. You must spend all the money in your accounts or you will lose it. IRS rules do not allow you to carry over an FSA balance from one year to the next, so be sure to estimate your contributions carefully. Once you enroll, you can only change your elected payroll contributions if there is a change in family status, such as: marriage, divorce, death, birth, adoption, or change in employment status. If your employment with Santa Barbara County Superior Court terminates, you can only be reimbursed for claims incurred up to your last day of employment. Note for Over-the-Counter (OTC) Drugs and medicines: your FSA can not reimburse you for OTC drugs and medicines (other than insulin) without a doctor’s prescription. Santa Barbara County Superior Court offers you the opportunity to participate in a Parking/Transit Flexible Spending Account (FSA). How your commuter benefits program works. Use the money in your WageWorks Commuter Program for all of your eligible work-related transit and parking expenses. Work-related transit expenses consist of vouchers, passes, tokens, and fare cards for transportation via bus, commercial vanpool or train. Parking expenses incurred include parking at or near work, parking at or near transportation site and park and ride expenses. Ineligible expenses include (but are not limited to) tolls, car maintenance, carpools and gasoline. Twice monthly, you set aside some of your pay, before taxes, to use for your eligible transit and/or parking expenses. You save because the money to fund the program is deducted from your pay before taxes are taken out. Since the money used to fund the program isn’t taxed, you save between 25% and 40% on every purchase. If, for example, you spend $100 a month on your commute, you can save up to $40 a month ($480 a year) with the program. Take Care Card. Use it instead of cash at eligible parking and transportation providers. On the Go. Use the mobile website to view your account information. involved in your healthcare decisions. *These amounts are the maximum the IRS allows you to contribute to your HSA. If the Court contributes $900 into this account you have to deduct that amount from this limit As an example: $3,500 - $900 =$2,600 would be the annual single contribution maximum you can make on a pre-tax basis. If you have a Healthcare Flex Spending Account (FSA) for 2019, you cannot open an HSA until the available funds in your 2019 FSA Healthcare account have been used, and the balance in your Healthcare FSA account is $0. You cannot have an HSA and be a dependent on another person’s health insurance plan, unless that plan is also a High Deductible Health Plan. The Court will contribute $900 annually over 26 pay periods into your Sterling HSA account. You must open your HSA with Sterling HSA. If you do not open your account you will not be able to receive any of the Court’s contributions. All regular employees may enroll in Supplemental Life Insurance through VOYA (formerly ING). Premiums are determined by your age and will be withheld from your paycheck. For any amount elected after your initial eligibility period (31 days), you must provide Evidence of Insurability (EOI) and be approved for the amount elected. * Your amount of Supplemental Life and AD&D will decrease to 65% on your 65th birthday, to 50% of original coverage amount at age 70 and to 30% of the original coverage at age 75. ** A $10,000 AD&D policy is included with the Employee's Supplemental Life insurance policy for a minimal fee. All regular employees may enroll in voluntary Personal Accident Insurance (PAI) through VOYA (formerly ING). Premiums are based on a flat rate per $1,000 and will be withheld from your paycheck. Coverage can be elected for Employee only or Family (Spouse/Domestic Partner and Child). Evidence of Insurability (EOI) is not required for PAI. Coverage amounts from $25,000 to $300,000 in $25,000 increments not to exceed 10 times your annual salary. Benefit reduced by 65% at age 65; to 50% of original coverage amount at age 70 and to 30% or the original coverage at age 75. Spouse coverage amount equal to 50% of employee coverage. Child coverage is equal to 10% of employee amount. Compass Critical Illness Insurance through VOYA Financial is a limited benefit policy and is not health insurance. This policy pays a benefit on top of any health insurance benefits you currently receive. Critical illness insurance pays you a lump sum benefit upon diagnosis of a covered illness such as cancer, heart attack or stroke. Payments are made directly to you to cover copays and deductibles, at-home care or even your monthly bills. This policy offers an annual Wellness benefit that provides a $150 reimbursement for each covered employee and spouse who completes a covered health screening. The child benefit is 50% of employee amount with a maximum of $300 in child wellness benefits. Voluntary Compass Accident Insurance is offered by Voya Financial. This policy helps you pay for the out-of-pocket costs you may experience after an accident. The policy pays a lump sum amount depending on the type of injuries you have sustained such as broken bones, torn ligaments, burns, as well as for expenses from hospitalizations, the ER, office visits or physical therapy. You may use this amount to pay for everyday living expenses or to pay healthcare costs. The policy also has an annual Wellness Benefit that pays you $100 for completing a screening, an additional $100 to covered spouse and $50 for a child. Covered members may submit the same wellness claim for reimbursement in both plans. CareCounsel is an independent organization and is not part of your health plan. They are a healthcare assistance program that can help you navigate the complexities of your health plan benefits. Your CareCounselor will listen to your concerns, answer questions, guide you to the appropriate resources, and intervene on your behalf for issues that confuse or frustrate you. RESOURCES FOR YOUR HEALTHCARE NEEDS. The Employee Assistance Program (EAP) offers free professional, confidential assistance with personal and workplace problems. The program is provided through MHN and is available to employees and their immediate family members. You have 24 hour toll-free phone access to EAP professionals 7 days a week. This program is voluntary, completely confidential and at no cost to you. HR staff will be available to assist you if you encounter any problems. Please see: http://www.sbcourts.org/gi/HR/benefits.asp for Santa Barbara Superior Court benefits information.